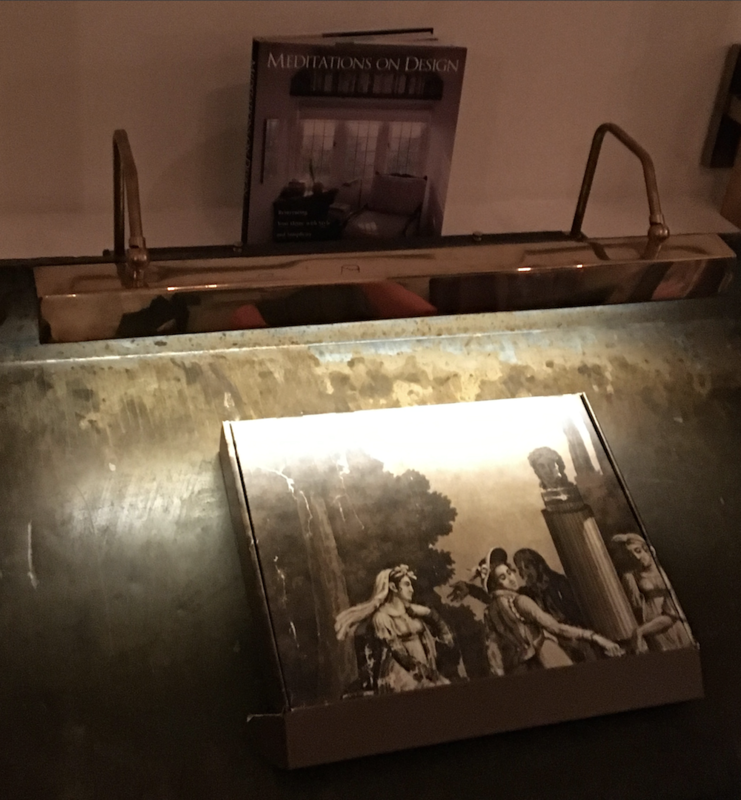 Designed to illuminate objects of art, the Eugene Art Light is comprised of solid brass. The fixture includes a 22″ dimmable LED strip. 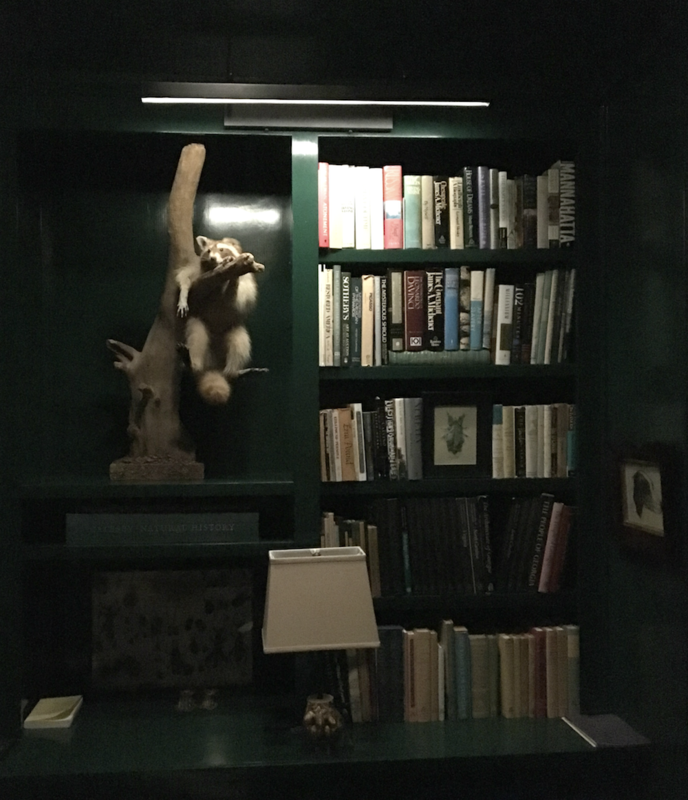 Additional LED strips can be added for increased illumination. The LED module means no heat is directed at the art. Versatility. 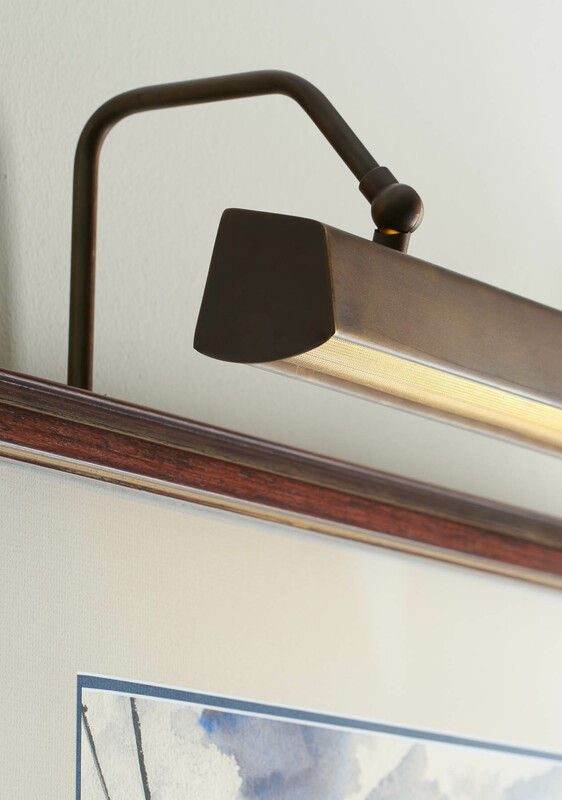 With a variety of finishes, this art light is a chameleon that blends easily into a room. Functional. 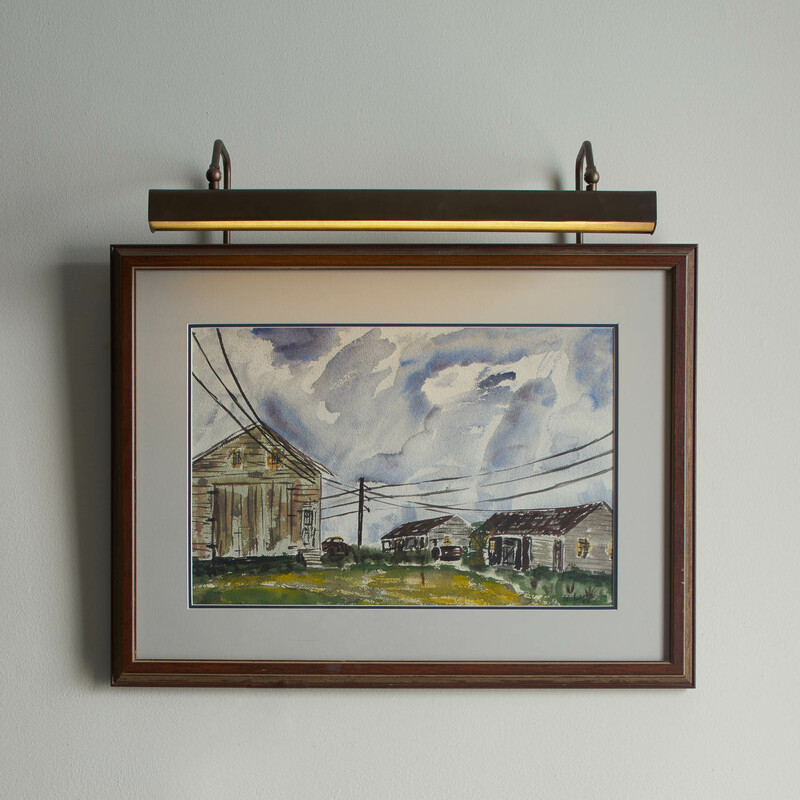 The Eugene can be mounted and adjusted to cast light exactly where you want it. Sleek and clean. A combination of sharp lines and perforated brass details comprise the look of this fixture.